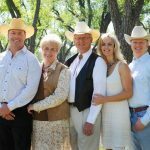 Stephanie Prescott, co-owner with her husband Steve, of RE/MAX Capitol Properties, comes from a long line of ranchers. Her family roots are deep in Wyoming. 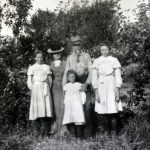 Her great grandfather Wolfgang “Jack” Robert Copman arrived in Wyoming in 1879. He later married Elsbeth Yegen, who joined Jack in Wyoming in 1890. 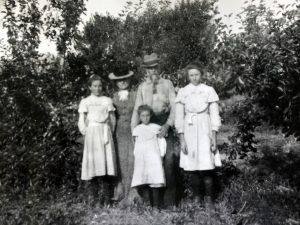 The family homesteaded in the Shell, WY area on Beaver Creek. Jack started out with trailing cattle into the Lovell area for Henry Lovell. Later, he went on to be a sheep rancher. By the 1950s, all livestock raised by the Copman family transitioned to cattle. It remains that way today. During his early years, Jack was a trapper. He chose to do his trapping on Trapper Creek in the Shell Canyon. He always believed man would fly and made models of flying machines. He had the intention to build a flying machine and launch himself off what is now called Copman’s Tomb. He believed he would land in Shell Valley. Unfortunately, he never had the chance to test his experiment or to see the first airplanes as he died in 1907. A visionary outlook on life and need for innovation is a value instilled in the work of the RE/MAX Capitol Properties’ agents. RE/MAX is earnest in their belief in “the power of preparation and education.” Embodying this same belief and applying it to their work, as stewards of real estate makes, RE/MAX Capitol Properties exceed expectations. The Leavitt family continued to ranch in various locations throughout the Big Horn Basin until 1999. Richard Sr. started to shift his operation to Campbell County in the 90s, and Richard Leavitt Jr. now operates cow/calf ranches in Wright, Kaycee and Laramie, WY. Stephanie, Steve and their children are thrilled when everyone’s schedules permit time for helping at the randh. They know that the life of a rancher requires hard work, dedication, and passion. A passion that runs deep in tradition. Stephanie and Steve apply these same elements to the day to day operations at RE/MAX Capitol Properties. It strengthens their family of real estate professionals. It is why their role as presenting sponsor of the 2018 Pardners N’ Prosperity is a match made in heaven. Investing in a celebration of these wise entrepreneurs and agriculture professionals is an honor, privilege and a premier opportunity to say, thank you! Thank you for making Wyoming a great place to live, work and raise a family! It’s a wonderful home.